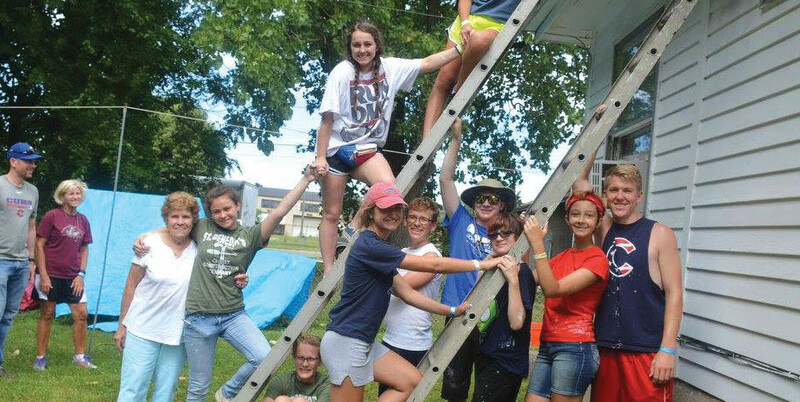 Wausau’s St. Anne Parish Youth Ministry Mission Trip to Hamilton, Ohio, was a huge success as the participants were spilt among 70 work crews to work on various projects, from painting and roofing houses to doing inside jobs and yard work. Not only did they spend the week doing house repairs for those in need, but they developed their faith with other youths and adults from across the country. 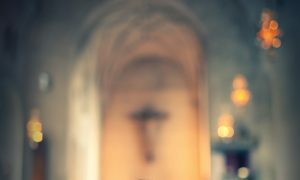 EVENTS AROUND THE DIOCESE – WANT MORE EVENTS? Sacred Heart Parish in Nekoosa will hold its annual Fun Fest on September 10th and 11th. A brat, tamale or barbeque dinner will be on Saturday from 4–6:30 p.m. followed by bingo. On Sunday there will be a homemade lasagna dinner serving from 11 am to 1 pm, also followed by bingo. Kids’ games will be from 11:30 a.m.–1:30 p.m. on the rectory grounds. A silent auction and raffle ticket sales will be on both days. You could win Packer, Badger and Brewer tickets or even cash! Do you need a “Reboot”? During this Jubilee Year of Mercy, everyone is welcome to leisurely explore the church and grounds of Sacred Heart Parish and the St. Clare Convent (in Polonia) including the Lourdes Grotto, indoor and outdoor Stations of the Cross, and the Rosary Path (in its preliminary stage). A full offering of spiritual experiences is also available to all who visit. Everyone is welcome from near and far! For more information, please call the parish office 715.592.4221 or visit our website at www.sacredheartpolonia.com. 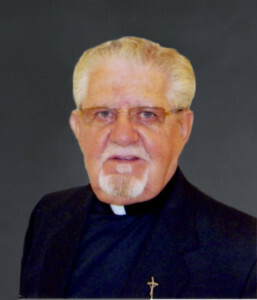 Father Richard L. Fliss, at the age of 78 and a priest for 50 years, died on Wednesday, July 20, 2016, in Green Valley, Ariz. 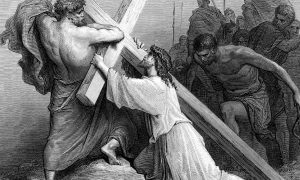 He was born on June 13, 1938, in Stevens Point, Wis., and attended Holy Cross Seminary in La Crosse. Father Fliss was ordained on May 28, 1966, at St. Joseph the Workman Cathedral in La Crosse by Bishop Frederick W. Freking. His first assignment was as assistant pastor at Our Lady of Perpetual Help Parish in Arcadia in 1966. After many great years of service to the diocese, in 2006, he became the department head of the Religious Services Department at the federal prison complex in Tucson, Ariz. He served in that position until he was granted the status of senior priest on July 1, 2008.
the 36th annual Rural Life Day at St. Joseph Parish in Menomonie of the Durand Deanery (910 Wilson Ave.). The day begins with 10 a.m. Mass celebrated by Bishop William Patrick Callahan and is followed by awards, recognitions, a blessing of crops and machinery and a meal catered by the women of the parish. For more information, contact Dan Kitzhaber, Rural Life Committee liaison, yministry@frontier.com, or call 715.384.4989×3. 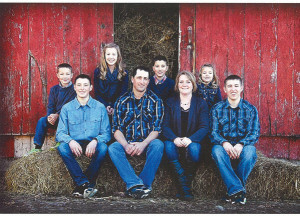 This award was created to honor a farm-related business that has been a friend to the Durand farming community. This year, two winners were chosen. 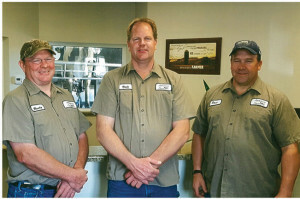 The Schmitt Family owns a tractor repair shop and internet store with troubleshooting service, and also runs a grain farm. 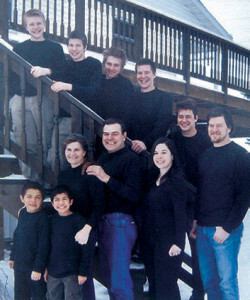 The whole family, which includes eight boys and one girl, are living examples of living God’s call. The two youngest boys were adopted through Catholic Charities in Guatemala and their son Levi is in his fifth year at seminary. They are active in their parish and organizations like Knights of Columbus. They also practice no-till farming and are a great support for the farming community. The Catholic Men’s Conference will commence at at Our Lady of Peace Church in Marshfield, Wis., on Oct. 22. Registration for the event is $30 and walk-ins are $40. The main speakers at the event include: Bishop William Patrick Callahan, Deacon Chris Padgett, Deacon Harold Burke-Sivers and Tim Staples. Wednesday, Oct. 26, 6 p.m. to 9 p.m. The Thorp Deanery will host a convocation at St. Anthony Parish and School in Loyal. 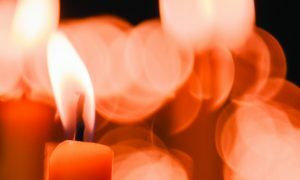 The title of the annual event is “Sharing the Light of Faith,” using the encyclical Lumen Fidei of Pope Francis as inspiration. The keynote address will be given by Father Ed Shuttleworth on an evangelization program called Alpha, introduced at St. Charles Borromeo Parish, Chippewa Falls. After the keynote address, participants can attend their choice of two sessions among 10 offerings. All members of parishes in the Thorp Deanery are welcome to attend. Anyone outside the Thorp Deanery is also welcome. There is no charge for the event. Parish members should watch for registration information in their church bulletins. If you wish to attend from outside the deanery, please contact Father Steve Brice at St Anthony Parish, Loyal at 715.255.8017. Six men will be ordained permanent deacons at St. Joseph the Workman Cathedral in La Crosse.